Union Public Service Commission (UPSC) has published the the commission's programme of Examinations and Recruitment Test for the year 2018. 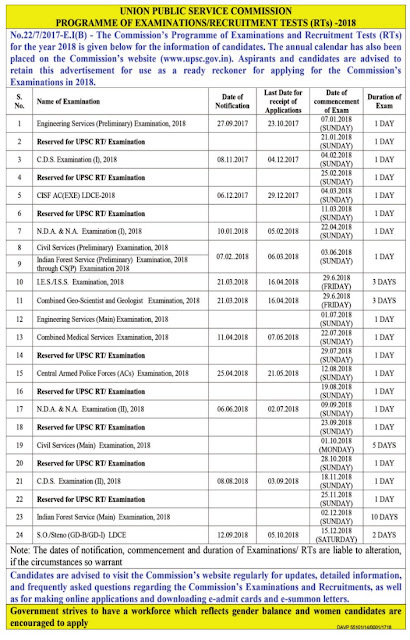 Aspirants and candidates are advised to retain this advertisement for use as a ready reckoner for applying UPSC's Examination in 2018.
alteration, if the circumstances so warrant. Download in pdf : Click here .